Hawley retainers, Essix retainers, Roberts retractors, Michigan splints, Tanner appliances, Soft splints, Whitening trays, Sports mouthguards and Silensor Anti Snoring devices, to name a few. 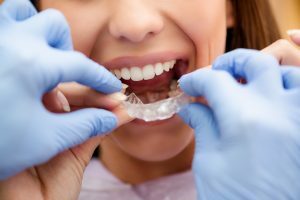 If you would like more information about our orthodontic products and prices, please do not hesitate to get in touch with one of our team today. HQ dental has been trading for over 30 years and most of our staff have spent their entire working careers with us resulting in continuity and a wealth of experience. As industry leaders we are continually investing in the very latest technology and have fully embraced digital dentistry and digital workflow. We are one of the largest full service laboratories in the UK but sill retain a very close and personal relationship with each and every one of our clients. 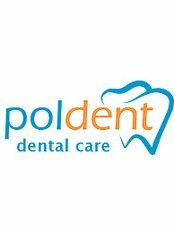 We hold regular training and teaching events for clinicians and technicians and have very close ties with dental hospitals, universities in the UK and in other countries. We’re a Straumann Platinum approved laboratory so along with our own advanced in-house Cad Cam designed and milled abutments we also employ the “Original Straumann CARES Scan & Shape customised abutments” service. We are a Straumann Platinum approved Lab. HQ Dental have recently upgraded the Crown and Bridge Department at our Dentist and Laboratory in Leeds. We have upgraded the rooms with a whole range of new equipment. The new equipment and machinery will make us more able to offer an even higher standard of services to our patients. HQ Dental have also further invested in upgraded the facilities by recruiting a number of new employees. Finally, we have also began offering new training and training schemes for our employees to further improve the service we provide. For more information, get in touch today on 0113 279 6668.